Your online presence, or lack of it, matters in executive job search. 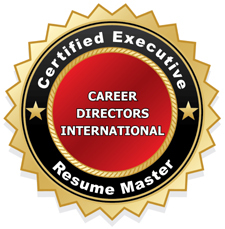 It matters for most every job seeker, at any professional level − from entry level to c-suite executive. 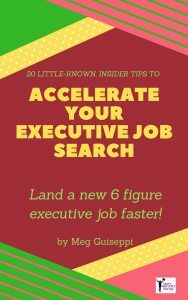 Given two equal candidates, in terms of skill sets, education, work history, and all around good fit for the job, executive recruiters and hiring professionals are likely to choose the person with the more vibrant, robust online footprint. Why is a candidate’s online presence so important to executive recruiters and hiring professionals? → They want to know that you, as a potential leader of their organization, are savvy with social media and the new world of work. → They want to see social proof of all the claims you’ve made in your career marketing materials. 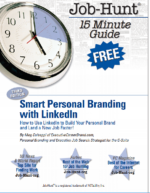 The content you post to your LinkedIn profile, for instance, is likely to be truthful. They’ll compare this to the resume you’ve sent them. → They want to quickly and easily find relevant, supporting information about you online, to help them determine whether to interview you. → Many other top-level executives have a solid online presence. You need to do the same, just to keep pace with them. → Your social media footprint provides them insight into your passions, interests, thought leadership, communication skill, potential culture-fit, and other valuable information. These things fill out the resume you may have sent them. When recruiters and hiring managers source top talent to fulfill their needs, they go right to LinkedIn and Google, and search relevant keywords and phrases. If your content online doesn’t contain the right keywords in the right places, you may not be found by the people who can lead you to a good-fit job. A few online profiles that all contain the same content won’t cut it. Change up the information in each one. And, although static online profiles (like LinkedIn) and other web pages are very important – especially for being found (see #1 above) – they’re not enough. You need to add vibrant real-time content to the mix. Express your opinions, showcase your expertise and add value by blogging on your own site, commenting on other blogs and/or guest blogging on other sites. Get busy on social networks like LinkedIn, Twitter, Facebook, Instagram, etc. Post updates regularly on LinkedIn and publish articles on LinkedIn’s Pulse. Publish white papers on relevant sites. Put up a profile and post book reviews on Amazon and other online booksellers. Make no mistake, when you’re being considered as a candidate, your name will be Googled. You need to be diligent about monitoring search results for “your name” so you’ll know what people are finding about you online. Is the #1 search result yours? Are at least some of the results on the first page yours? Do the search results for your name present you in the right light? Has some digital dirt wormed its way in? Can you fix it by taking down the information, or asking whoever posted it to take it down? If you have a common name, will people be able to distinguish you from the others? 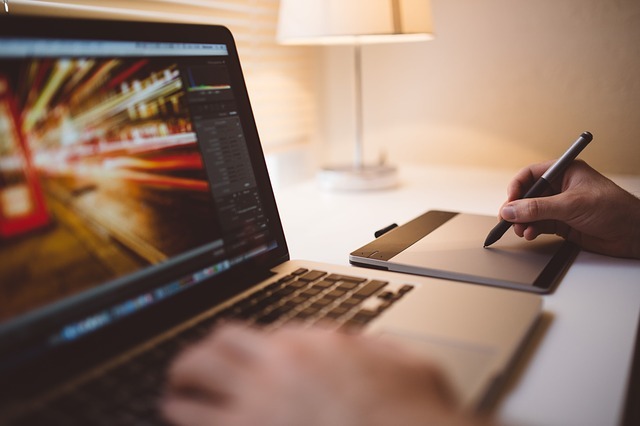 Keep adding new content to new web pages, refreshing static profiles to align with your changing career needs, and posting real-time content on social media. The more relevant information found about you online, the more your social proof and credibility as a candidate rise. 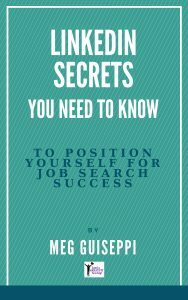 As secure as you may feel in your current job, you could suddenly find yourself in job search. If you’ve done nothing while you were employed to build your online presence, you’ll have a hard time catching up with your competitors who knew enough to keep at it all along. It takes time for the content you post online to gain traction in search engines. Don’t wait until you’re hit with a layoff to post some slapdash content online. 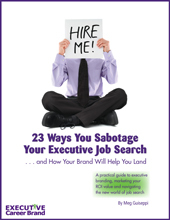 Savvy executives know that jobs are no longer permanent and a strong online presence is no longer optional. They keep working on their online presence, even while they’re employed.